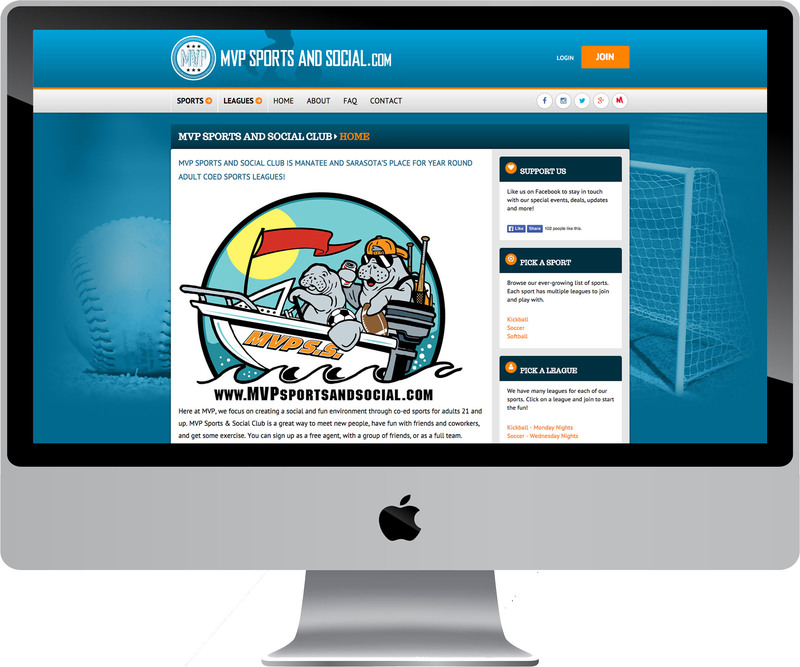 MVP Sports and Social Club is a dynamic eCommerce website. Each page is generated by database content using PHP. The sports, leagues, teams, standings, schedule, promo codes, and members are all stored in the database and securely retrieved. MVP Administrators can add, edit or remove any data from the site using a friendly interface. The design is custom and has a blue and orange color scheme with graphics and gradients. The website’s overall structure and design are responsive and therefore mobile-friendly. Each element adapts to the device’s screen size and displays appropriately. The backbone of the site is HTML5, a modern web programming language. 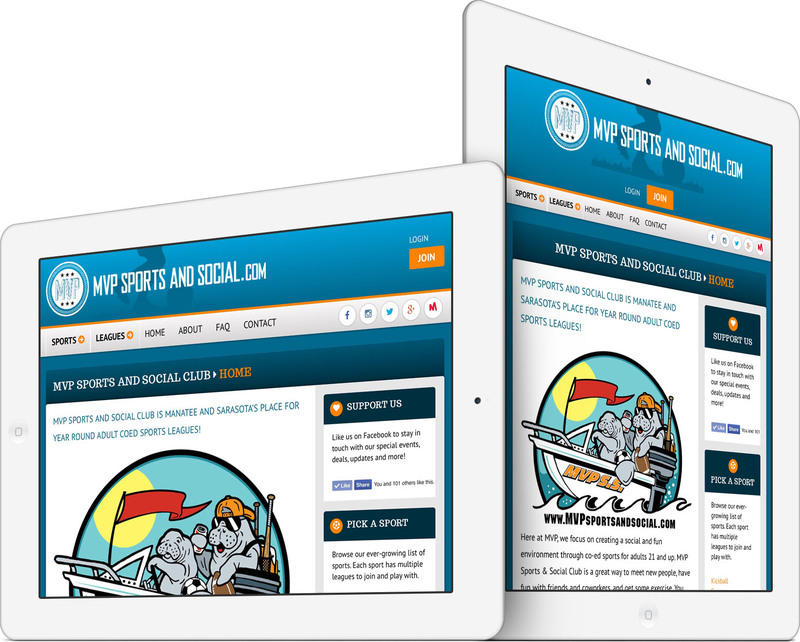 Social media links are prominently displayed in the navigation bar up top, and contact information for the business is on the sidebar of every page. Visitors can register for an account by clicking the prominent Join button on the top of every page. Registration requires name, email, phone, gender and birthdate. Once registered, members can login and logout of their account. To join a league, members go to the Leagues page, pick a league and click Join This League. The signup and payment process is simple. Payment processing is through Stripe and secured with an SSL security certificate (as evidenced by the https in the URL). Promo codes allow the owners to offer discount codes that take a percentage or fixed amount from the total cost of joining a league. The site is optimized for search engines. Pioneer Media actively provides website and domain hosting, site maintenance, support, analytic tracking, SEO monitoring, uptime monitoring, and more. Leighton is incredible!! You truly don’t have to look any further, Pioneer Media is the way to go! I recently moved to Sarasota, FL and met with a few local web developers before I contacted Leighton and none of them even came close to being as good as Leighton and his team. 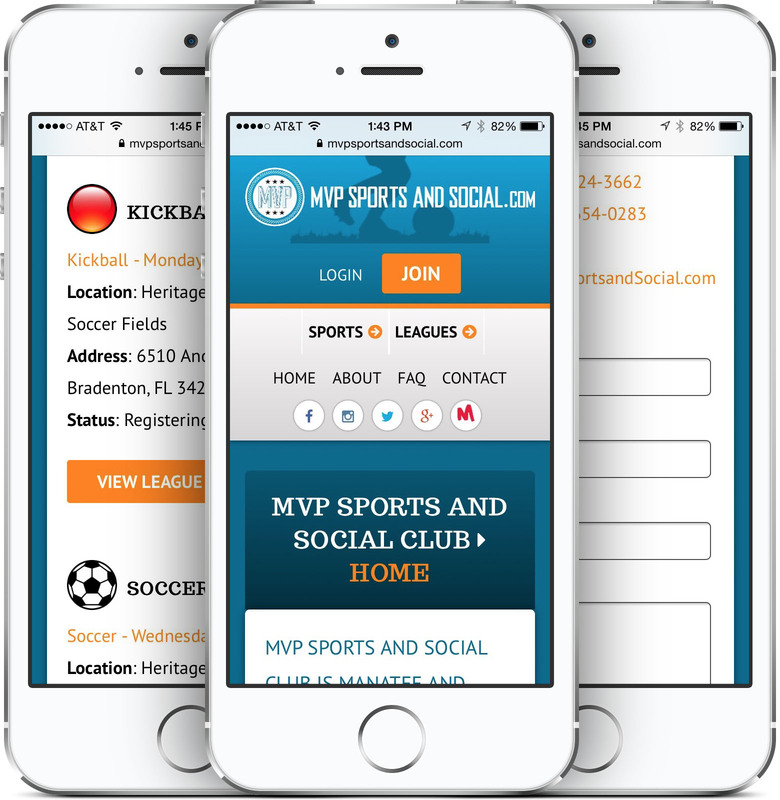 MVP sports and social club is Manatee and Sarasota’s place for year round adult coed sports leagues! 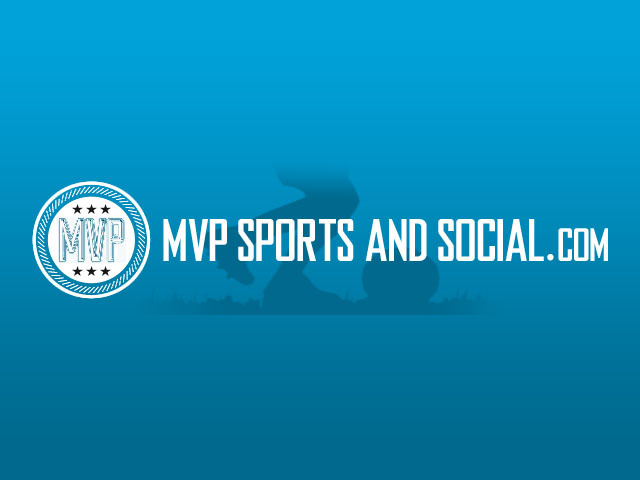 See the live website at MVPSportsAndSocial.com.